Loads of free stuff. Yay! October is a very busy month for racing fans. The last big meetings of the flat take place at Newmarket, Ascot and Doncaster; and the first big meetings over jumps are run at Chepstow and Cheltenham. That genesis of the jumps season is an exciting time for the sport, with its far better defined narrative, and its familiar plot lines and main characters. So it's probably no surprise that plenty of information products and tipster services appear at this stage. The good news is that some of these services are very smart indeed. The even better news is that most of them are also prepared to show you what they're about with high quality free - or 'freemium' - content. In this post, I'm going to share a few of the better freebies, and tell you what I know about the main product that is being sold. Feel free to grab whatever takes your fancy, and do look into any of the services/products that fit your approach to betting. Trainer Track Stats, or TTS, is a product I founded way back in 2006. Its premise is simple: some trainers habitually perform well at some tracks, with specific types of horse. In this freebie, Gavin Priestley - my great mate and TTS' new author - has put together the pick of the Irish trainer/track pairings. I reviewed TTS here last week. This service is, quite simply, one of the most time-proven, consistent season-to-season profit-makers on the market. It has made a profit in EVERY ONE of its eight seasons to date, and is already just over five points up this term. I love the product - as I should seeing as it was 'my baby' - and I'm very pleased with how Gavin has taken the idea and continued to add value to it... and to turn a profit with it for his subscribers. This is, in my opinion, about a hundred pounds cheaper than it should be, making it the best value package on offer. NTF is another excellent product, and one which I've kept on side since its inception in 2009, and which has served me very well. Ben Aitken, the creator, works with both trends and dosage profiles, and it's that latter element which sets him apart from the sea of trends-based offerings. He covers all the big races through the year, and there are plenty of illustrations of Ben's work in this bumper download pack. As I've mentioned above, Ben covers all of the main races throughout the National Hunt season, starting this Saturday. In total, he'll be covering over 140 races between now and late April. On top of that, Ben also flags his UTR Squad - under the radar horses which he believes will more than pay their way as the season progresses. And, as well as that, subscribers receive Ben's weekend notes, and his Cheltenham Festival ante post service. You may have seen some emails around yesterday for this. I was supposed to mention it to you then, but regular readers will know that Chris mails out our reviews round up on Wednesdays. This is a betting system for the National Hunt season, and it has a very high strike rate. Not only that, but if you register for it, you'll receive the qualifiers to your inbox each time there's a runner, so you'll never have to worry about missing one. It's based on good logic and should continue to pay its way this season. I'll be honest, I haven't seen the 2014/15 version of this yet, so I can't really comment on that. What I can tell you is that the logical premise is very sound, and in previous years it has served me personally very well. If you register for the free service, I'm sure you'll receive more information on which to base your own judgement; and I'm waiting on my 'review' copy as I write. When I receive that, I'll be sure to update this section. This product is not available yet in any case, so do get the Hot Novice Hurdlers system in the meantime. Tony Mac, owner of Irish Big Race Trends and horse-racing.ie, has put together a little micro-system specifically for use this weekend (Friday and Saturday) for the Showcase Meeting at Cheltenham. 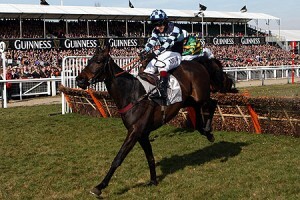 It's "the home of National Hunt" 's first meeting of the new season, and this could help you get ahead from the outset. Tony has pulled some strings to bring together a 'brains trust' of media experts, which includes geegeez' own Tony Stafford; ATR's Tony Ennis; Racing UK analyst, Andy Richmond; Paul Ferguson, author of Jumpers To Follow; Sean Quinn, assistant trainer to John Quinn; and Dean Ryan, broadcaster on Racing FM. These guys know their onions from their tomatoes and will each be offering 'three to follow' at each of the Cheltenham meetings throughout the season. They'll be covering eight meetings, which combined amount to sixteen top class race days, and Tony has this very reasonably priced at just €20 (£15.99 when I just checked in the currency converter!). Tony's also including some interesting micro system angles for the season and, all in all, it's great value especially for more occasional punters. For no real reason, I thought I'd sneak this on the end here! I say 'no real reason' because I'd expect you to know by now that the geegeez racecards include far and away the most powerful free form tool in Britain, Full Form Filters. If you've not checked this out yet, you are seriously missing a trick. What do they do? Well, what you want them to do, really. You can take a horse with, say, thirty career starts, and filter its lifetime form for today's going, or class, or course, or distance, or handicap (or non-handicap), or trainer, or jockey, or recent run performance, or performance after a break, or wins only, or places only, or win and placed, or unplaced only. Or any combination of those. Phew. You can look just at this year's form, or the last two, or three, or four, or five years. And... you can do the same for trainers and jockeys! p.s. you'll also then be eligible to see more Gold content via both the Race of the Day (3.50 Wincanton today) and Feature of the Day (which, today, is Instant Expert for ALL races). Geegeez Gold is developing into a powerhouse form-based race cards solution. It has something of great value for bettors of any level of knowledge, experience and/or time, from superb profitable tips (Stat of the Day, two out of three this week; and Double Dutch, two winning doubles in the past four days), to insightful pace analysis for all UK (and, very soon, all Irish) races. You'll get pace analysis, winner-finding reports, trainer/jockey stats, form profiling shortlists, breeding and form comments, head to head data, a horse/trainer/jockey tracker, and oodles more besides. As Matt may or may not have mentioned ( 😀 ) in his own preview of TrainerTrackStats, this is a product that we really like here at Geegeez and it's one we believe offers excellent value for money over the coming months. I've followed the service myself for a number of years (not quite as far back as Matt's ownership of TTS) and have always been very impressed with what I've got from it. 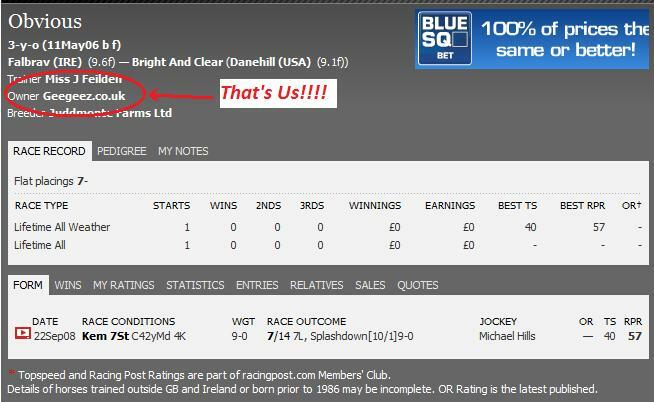 However, we're not going to suggest you just take our word for it and so I'm going to report the daily selections for the next 60 days after they've ran of course! I'll be using a £10 per horse level stake and settling up at Betfair SP less 5% commission on the winning bets. If you've any queries just ask! Addition 09/12/14: After 60 days of testing, there was a more than adequate 26.72% strike rate achieved via 31 winners from 116 qualifying selections. The annoying thing about the trial is that the final profit level of 3.11pts doesn't really reflect the quality of this publication/service. The TTS package is a whole portfolio of profitable microsystems re-evaluated every year and has made profit every year since inception in 2006. The overall cost of the TTS service is just £79 and despite a low profit return so far, it should be mentioned that there's still another 4 months left to run on the subscription. It's a product I know well and have come to love and it's one I'd happily recommend to you. That concludes my review of TTS. It's true. I've got the hump. Click play on the video to find out why. Here's the link I spoke about. And so starts another month. But November marks not just another month, but also a change of season. As the clocks go back, so the horses get older, and bigger, and stronger, and run further, and generally jump more things. As I often say, dear reader, here at Geegeez our first priority is to entertain and to try to educate some of the less experienced folks a little along the way. The Guineas meeting marks the 'official punting start' of the season for many flat enthusiasts, including my good mate and eminent trainer statto, Gavin Priestley, who has chosen the start of May as the ideal time to release his latest work of statistical brilliance. As it turned out, that report did rather well, and was followed by an updated and fully revised edition for the following season. This too made a tidy profit, fully recorded, and was very popular. And then things changed... In June 2008, I was offered a job with a chap called Tim Lowe, who is a big shot in the world of direct mail marketing (i.e. sales letters in the post). I considered it a fine opportunity to learn more about a trade that, hitherto, I was exceedingly green with. But there was a problem... the long and short of it was that in order to accept the role with Tim, I'd have to relinquish my existing business interests which, at the time, were TTS and a blog called Nag Nag Nag. So... I approached my very good mate, Gavin Priestley, who I'd known for donkeys' years, and who I'd met through racing and betting, and who was pretty savvy on matters equine, and asked him if he fancied taking over. Long story a little bit shorter, he accepted and took over my old websites. He's done a brilliant job with both Nag3, and TrainerTrackStats. In fact, regarding the latter, Gavin has continued the profitable curve with two years of 'gravy' for his subscribers to match my two. It's essentially a stats-based analysis of trainer patterns, which seeks to find the real heart of a trainer's profits by 'slicing and dicing' the data by such variables as age, obstacle type, distance, time of year... in other words, all the things that affect the form of a trainer's horses during the course of a season. TTS looks at the last five seasons for trainers, and only when they've had a sufficient number of runners. By also only focusing on horses priced at 14/1 or less, the odds are never skewed by one or two massive priced winners. And, as with everything in life, the proof of the pudding is in the eating... so what are the numbers since that very first launch? As you'll note, TrainerTrackStats has... SHOCK... losing runs. Four years and over 3,300 selections will do that. But each year, at the end of the season, when the chips were counted, there were more than at the start. And, again as existing subscribers will testify, what fun we have along the way. There have been some ridiculous pick-ups from people who use the info in their own way. None more so than Chris H, who now famously caned Ladbrokes for Â£48,886... for a Â£22 bet! Chris placed a yankee on four TTS runners (just a pound each-way, nothing fancy), and he scooped nearly FIFTY GRAND! Now then, very clearly, I'm not suggesting you're going to do anything like that. But when the winners come on the same day, as they quite often do, it's incredible. EIGHT out of NINE WON!!! And the one that was third, was in the same race as the 4/1 winner!!! As long as I live, I will never forget that day. If it happened now, it'd probably make national news due to the number of followers TTS has acquired in the meantime. But back then, it was just me and a handful of (flabbergasted) subscribers. But the one thing TTS does do, season in, season out, is provide those who love their jumps racing with loads of horses running for trainers who excel in that department... and loads of winners. The average win strike rate is a little over 22.5%, so just shy of one in four runners win. And the average place strike rate (actually, more correctly, runners placed in the first three - there might not always be enough horses to pay on third place) is over 52%! These are not dodgy back-fitted numbers. These are the TTS stats. Anyway, I'm getting all misty-eyed. I'm also very proud of Gavin for the way he's maintained the momentum and, whilst the expectation grows with every season, this is one product that has done 'what it said on the tin' for four years and looks well placed to make that five. The nature of the marketing - which, I have to concede, I have been involved in - means that TTS is likely to sell out before the weekend is over and, quite possibly, some time before that (it's selling like hot cakes this morning). Just time to add that I've pulled together all of my Breeders Cup info, ahead of my flight tomorrow, and I'll be writing my first report on that for you today and posting it tomorrow. So stay tuned for that, if you've interest in the US horse-y party! Blimey, dear reader, and crikey as well! The response to TTS has been - unsurprisingly - exceptional. Lots of you have already secured your copy for the winter season and I know from your feedback how impressed you are with the package. Of course, none of that surprises me because I know what a top notch job Gavin's done with it. But what did surprise me a little bit was quite how many questions you asked, meaning some of you don't have all the information you need to work out whether TTS is going to be with you. It's no sweat if it's not, but I do want to make sure that as many Geegeez readers as want TTS, have TTS. So... I've put together a mini Q&A session below. (If you have any further questions, please leave them in the comments at the bottom and I'll do what I can to answer them based on my knowledge of the software and the service). Q. How long does it take to find the selections each day? And is it difficult? A. I reckon it might take twenty minutes to find the runners when you start out, and that this time would come down to ten or fifteen minutes as you get familiar with the manual. It might take a bit longer on a Saturday if there's lots of meetings, but that's true of any betting system. Moreover, when you sign up for TTS manual, you'll also get a month's free access to the selections in a special members' area, meaning you can compare your own findings with the 'official' version. After the first month, you can stay subscribed for the rest of the season for a small ongoing fee. Or, best of all, and for busy / lazy types, you can run the bot, which will pick up all selections from a central computer and place the bets according to your placement criteria only if the horses in question are 14/1 or shorter (as all TTS horses must be). A. There is really no need to be worried about the software. If you can use a mouse, and can work the internet, you've got more than enough computer savvy to operate this software. It's based heavily on the software I use with my Laying System, and that was built with complete simplicity in mind. I recognise that many people who enjoy horse racing are not the best with computers (that includes me! ), and so I insisted that the software was as easy to run as possible. A. OK, I do understand that TTS seems expensive, compared to last season. Â£197 for the automated bot plus the manual for the whole seven month season might appear a lot. But let's think about that. If you'd paid Â£37 a month last year for the season, you'd have made seven installments for a total of Â£259. If you just take the manual this season, it will cost you Â£67. Add in six further monthly instalments of Â£27, and you have a total of Â£229. Or if you take the three-payment option, allowing you to spread your costs, your commitment is Â£231 for the automated platinum package. The best value is of course the one off Â£197, which works out at just Â£28 a month for the season. Last season, TTS sold for Â£37 a month without the bot software! (and, incidentally, was still a bargain, as it made subscribers well over a thousand pounds for just Â£20 stakes). So, it's a whopping 33% CHEAPER than last season, AND it does everything for you. That's why I was so excited about TTS this year! Q. I already run a bot - will it work alongside that one? A. Again, an entirely reasonable question. Gavin recognises that not everyone will get on with TTS, and that the investment is significant for a racing system, even if it is (in my opinion, at least) the best National Hunt guide available (let me know if there's a better one out there!). But it's not for everyone. That's why you can try TTS and the software out for a full four weeks and, if it doesn't work for you, or you can't get to grips with the software, or... heck, even if you don't like the big red flashing 'bet' button (! ), just email Gavin and ask for your money back. He will disable the software (naturally), and provide you with a prompt and courteous refund. No questions, no quibbles, money back. That's how I like to do business, and that's how Gavin likes to do business. But I'm pretty confident you're going to love what he's got for you. Like I say, I've received a lot of questions in the last 24 hours, and I do want anybody who's thinking about joining us on the big TTS adventure this winter to be able to do so with their eyes wide open, and all niggles answered. So, if I didn't answer your question above, please leave a comment below and I'll do what I can to help. p.s. I've checked the entries (took about fifteen minutes to go through five racecards - I'm a pro 😉 - and the first TTS runners of the season are more than likely to be on Sunday, so you've missed nothing yet. p.p.s. I'm pretty certain that TTS will have the 'sold out' sign up before the first runners. Not hype, but a fact. As those of you who were around in March will know, my Flat Racing Profiles sold out in eight days. I had a hundred more copies of that available than Gavin has of TTS, and I reckon they'll all be gone before the weekend. Blimey, dear reader, who'd have thought it? The hugely awaited launch of Trainer Track Stats 2009/10 was due to be midday today (10 am if you're an 'early birder' - they catch the worms! ), but had to be moved back due to a last minute change of heart. Anyway, your loss is his gain. When I spoke to him last night, he basically said he'd [insert rude word here]'d up, and what could he do to put it right. Given that he's now officially fresh out of freebies, we thought a price reduction might be a good idea. I mean, same great manual, new brilliant software, and less for people to invest has to be a good combination, right? Well, I was a bit surprised when I awoke this morning to an email saying he'd lopped a full hundred quid off the price! But, fair play, it's his call, and I reckon its a very generous one at that (he'll certainly learn the lesson for next time). So, all the detail is out in the open now, including the price. TTS will run from October 1st to April 30th, and you can get the whole shebang - manual, automated software, and daily selections - for a single one off Â£197. That's less than a quid a day, and it's also less than monthly subscribers paid last year, when there was NO software! I know we hear cliches about 'recession busting', and such like (often from me! ), but - considering Gavin paid three grand (I've seen the invoice!) for the software, and how hard he's worked on the manual for the last two months - I honestly believe this is a steal. If you just want the manual, you can get that for a single fee of Â£67 - you'll also get the first month's access to the membership area with the selections in it (but no bot access). If you want to keep getting the selections each day, it'll cost you Â£27 a month thereafter (that's ten quid LESS than last season). NOTE, if you just want the manual, simply unsubscribe from the members' area - if you're not sure how, ask Gavin or me. It's dead easy. No catches here. Any questions, just leave a comment below and I'll do what I can to help. I don't profess to know all the answers, but I've been in touch with Gavin a fair bit over the last few days, so I've got a fair handle on things. b) what the bot does and - more importantly - how unbelievably simple it is to operate. What do you think? If you like the look of the numbers, and the software, you're going to love TTS and - I'm assured - it'll be ready from midday tomorrow. You can do that from the VIP members' area, and you can get to that by signing up here. If you don't want to sign up for the goodies and the early bird option, fair enough. You'll still get an option to secure a copy from midday tomorrow (though there may not be many left). Two final notices:firstly, the software will only work if you have a Betfair account (if you haven't, details of how to sign up are here). Secondly, your Betfair email address and the email address you use when you sign up for TTS need to be the same. If they're not, you can easily change one or other so they match. And we noticed something last year that we'd not seen before. TTS had started to become a victim of its own success. Let me clarify that, as I know it sounds a bit self-serving and grandiose. Basically, because so many people were 'in' on TTS, and the selections it threw up, it meant that hundreds - and quite possible thousands - of people were trying to back the same horses. Guess what happened next? Of course, the prices begain to reflect this groundswell of support and truncated. Got shorter. The horses still won at the same rate (roughly 2 in 9, or 22%), but the average price shrunk by about half a point. Now that might not sound a lot, but believe me, it can make the difference between success and failure when applied over a decent volume of wagers. 4. He wants to be able to offer TTS next year, in the knowledge that there is still a value edge available to those who have the info. This season, there will only be 250 copies of TTS available. Considering that's less than ONE FIFTH of the number sold last year, and that interest this season is even higher (again, unsurprising, seeing as TTS delivers season after season), those are going to go pretty fast, I reckon. If you've yet to register for the free stuff, then I'd urge you to do that, whether you want TTS or not. Quite simply, Gavin's giving away more goodness than most people charge over a hundred quid for. Once you're in the giveaway area, make sure you add your name and email address a second time. This is the ONLY way you can guarantee to get a copy of TTS. You're not obliged to get TTS if you sign up, but if you don't sign up, you might not get TTS. People on this list will get a two hour head start on the rest, and that could be the difference between having this and not having it. I expect it to go that fast. On the freebie page, there is another email registration form. By adding your details, and clicking the link in the confirmation email you will subsequently receive, you can assure yourself of the option to get TTS. Important: you are not reserving a copy by signing up, nor are you obliged to purchase TrainerTrackStats if you do. But... if you don't sign up, there is a chance - remote maybe, but still a chance - that you'll miss out. And I don't want any Geegeez reader who wants TTS to miss out. Simple as that. Okay, I've maybe laboured that somewhat. So apologies if you feel that's the case. But, put simply, this is my favourite horse racing betting product ever (it would be, it used to be mine! ), and I think it's as good - if not better (hard for me to say..!) - than ever. TTS is coming at midday on Monday, 28th September. ''Early bird' registrants will have the chance to get it from 10am GMT on Monday. Enough already. I'll be back tomorrow with a preview of another upcoming race, the Melbourne Cup. It's a race the Euro's love to win, but have only succeeded twice with, when Dermot Weld's pair, Media Puzzle and the brilliant stayer Vintage Crop, prevailed. They have however peppered the podium, and again have a strong hand this year. Some of these chaps have already added to their tally since I ran the numbers on Monday, so my apologies for not getting these out sooner. 1. Gavin's brother, Gary, emailed him and told him he fancied it. Gavin ignored it. 2. It paid over 250/1 on betfair SP, which might be the longest odds winner ever on there! What I am about to say is one of the best pieces of betting advice I've ever given, and I urge you to think about this. If the majority of the money wagered is based on a fundamental prejudice, this gives the more savvy amongst us a BIG opportunity to collect at value odds. I am something of a contrarian - that is, I look to angles that other people ignore or turn their nose up at. The favourites in sellers system is a classic example. Even though the horse is favourite, because of the class of the race, it is sent off at a bigger price than it should be, despite being the best horse in the race. That rarely if ever happens in high grade races. So look out for the ladies. Look out also for the good up and coming jockeys. William Buick and Freddie Tylicki are excellent prospects. So keep an eye out for these guys. They'll likely be winning low grade races, but you get paid 4/1 in a seller and a Group 1 race just the same. Ok, to the seller system I put up earlier in the week. Doubtless on the back of a two from two start, people were clamouring to find the next 'golden egg' from this particular systemic goose. Of course, as we all know in our heart of hearts, it doesn't work like that (said in a Northern Nationwide Building Society advert accent). Even if we hope it does. So, by the laws of averages and common sense, expect the next couple to lose. The jolly in the 3.05 Brighton might be of interest for the super seller system. There's no all weather action today. The Best Horse Racing Systems Ever? I've now added some new content to the website, which includes fresh reviews of my favourite five best horse racing systems. There is a backing system; a laying system; a trading system; a stop at a winner system; and, a laying guide (less absolute in system rules terms). 1. Favourites Phenomenon - brilliantly effect system for making regular incremental growth of your betting bank. A staple of any punting portfolio. 2. LS Trader - far from the norm for a racing website, but this commodities trading service has been making hay in these uncertain market conditions, and looks set to continue along that path for some time yet. 3. Laying System - possibly self-indulgent to include my own Laying System service, but I know the time and effort I put into compiling it, and the results to date have been very good. 4. Racing Secrets [Exposed] - currently off the market, but due to relaunch soon, RSE is a brilliant no-nonsense guide to laying and, for those with some time to go through the process, will assist enormously in locating 'shorties' to oppose. 5. TrainerTrackStats - now in its third season of profit, TTS has proven itself to be a hard perennial. Again, a must for any betting systems portfolio. So there they are. The five best horse racing systems I've reviewed and trialed to date. I'm sure that there will be some new kids on the block in 2009 that give these a run for their money. As and when they appear, you can be confident they'll appear on this site in trial / review form. https://www.geegeez.co.uk/wp-content/uploads/2018/09/geegeez_banner_new_300x100.png 0 0 Matt Bisogno https://www.geegeez.co.uk/wp-content/uploads/2018/09/geegeez_banner_new_300x100.png Matt Bisogno2009-02-24 08:59:002009-02-24 09:00:47The Best Horse Racing Systems Ever? I'm very VERY excited, dear reader, for tis the eve of another of racing's occasional Christmases. Yes, tomorrow sees the first of the new two days of Breeders Cup races, and I've been studying hard. Studying hard that is, when not obliged to drive hundreds of miles to look at holes in the ground. Yes, the Grand Canyon is interesting, nay spectacular. But yes, it does look the same from the various vantage points. And Sedona I'm afraid is just another hole in the ground preventing me from finishing my studies. It looks like a speed duel up front here, between Dearest Trickski, Dream Rush, Indyanne and Lady Sprinter. Indyanne would have had a chance but I think the battle for the lead will see her race run before the home stretch. Zaftig will stay all of this seven furlongs and more, and has the best speed figures in the race by a margin. But she has to overcome a four month layoff. Indian Blessing should be able to sit behind the fierce early gallop and stalk into contention turning in. She looks the most likely winner. If ever a race was made for a decent Euro 2yo, this is it. Alas, none of the decent ones have come over and, instead, this race looks an absolute conundrum. Laragh has the best turf form and should get an uncontested lead from the 2 box. She is miles clear of any of the other turf form. However, we need to consider dirt runners switching to turf, and Emmy Darling has the highest Beyer speed rating by a distance. Chuck in the Euro turf form, which is moderate, but may still be enough in a very weak division. Beyond Our Reach is the pick over April Pride and Heart Shaped. I think this might be set up for a shock. Again, a Euro holds the key. Pursuit of Glory's turf form is far better than any of the dirt form on offer, but she has to demonstrate she goes on the Pro-Ride surface here. There isn't much speed in the race, so there's a possibility of a muddling pace and another false result. Added to that the best horses are mostly drawn wide, and may or may not be able to track across to a more favourable racing position. All things considered, Sky Diva has the best combination of draw, running style and form, and may win. Doremisollafatido could be value if she can get across from a car park draw. An interesting race and historically a Euro benefit. Most of the better horses are pace setters or race handily, so there could be some fierce early action. The US horses are much of muchness, with ex-French Dynaforce probably the pick. Of the Euros, I am very sweet on Halfway to Heaven, a triple Group 1 winner this year, including the Nassau Stakes over tomorrow's trip. She loves fast ground and has everything in her favour. Folk Opera is used to racing over here and, if not beaten by the speed contest early on, looks each way value. A small but select group of US runners, with some Godolphin interest to boot. There's plenty of pace, with Hystericalady likely to lead out and fade. The horse to be on is Zenyatta. She's odds on for a reason. Eight wins from eight runs, and she seems to be winning by wider margins. She's proven on the surface, something most of her rivals aren't, and the race will be set up for her. Ginger Punch is the defending champ and she's been trained with this in mind (obviously). To the systems review, and Fancy Fillies incurred a winner (and therefore a loser for us), when Wajaha won at 8/11. She'd traded at bigger in the early markets and we're now back to around £300 up on the trial. Today's selection is at Great Leighs tonight, so has yet to race as I write: Rublevka Star, in the 7.20. Right, that's all for now. Back tomorrow with a preview of Saturday's action. Come on the Euros!! !